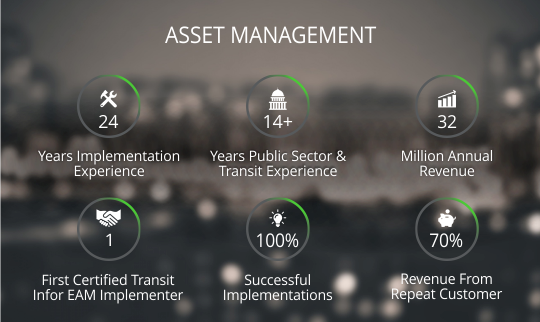 Enterprise Asset Management: 21Tech has broad experience implementing, customizing and maintaining Infor EAM in the public sector. 21Tech is an Infor Partner and co-chairs their Transit User Group, due to its background in working with transit agencies of all sizes across the US and Canada. 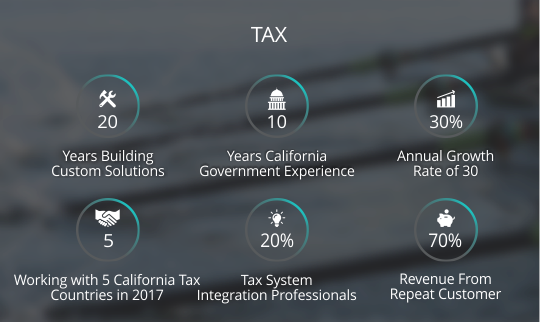 Tax: 21Tech's expertise in the property tax management space spans across the Assessor, Clerk Recorder, Auditor-Controller and Treasurer-Tax Collector's Offices for multiple California counties. 21 Tech has developed a partnership with Thomson Reuters to implement their Aumentum™ product to simplify the property tax management lifecycle for governments. Aumentum provides a flexible, scalable solution for automating the entire land and tax administration function. 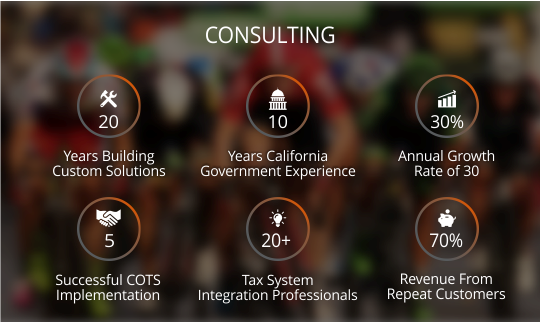 Consulting: 21Tech's consultants are not just experts in the fields of Asset Management and Tax Administration, but they are experts at consulting generally. 21Tech's team can assist your organization with implementing other COTS (commercial, off the shelf) software applications, end user training and Organizational Change Management projects. © All rights reserved. 2018 21Tech, LLC.